Drake has followed up his No Shopping release with No Stylist, making this another collaboration with French Montana. A glitzy music video to work with the lyrics of the song, we see cameos of A$AP Rocky, Cam'ron, Young Thug and designer Dapper Dan. The premise of the video centres around the preparation of a glamorous fashion show. Set in the gritty backdrop of New York City, footage of models prepping and walking is transposed with the cameos and of course, the two rappers. There is a cheeky green-screen shot of French Montana cruising down the street and legendary MC Slick Rick taking a sip from his tea cup while perched on the passenger side. "Keep it a G, I told her don’t wear no 350s ’round me"
This is likely a reference to the Yeezy 350s Adidas sneakers worn by West. 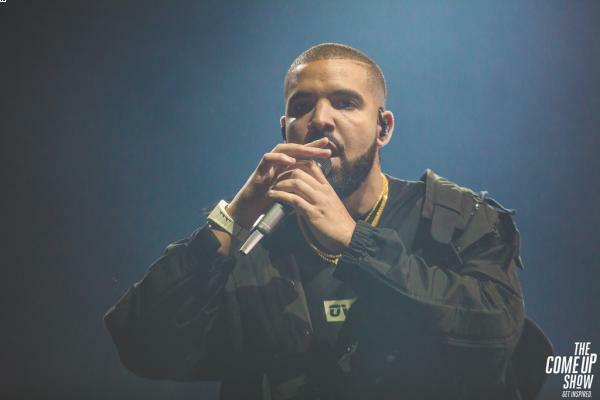 The two rappers have a history of beef, with their most recent incident involving Pusha T’s Infrared, reigniting the allegation that Drake uses a ghostwriter. And of course, the ‘conspiracy’ that Drake’s KiKi is in fact, Kim Kardashian, wife of West. So no surprise that Drake is taking the opportunity to take a sly dig at the Chicago rapper. It seems, these days, tunes aren't complete without taunting another artist.